Brooke has over 30 years of experience in the asset management industry focused primarily on alternative assets including hedge funds, private equity, real estate and distressed securities. He is currently Head of US Operations at G Squared Capital LLP and lives in New York City. Brooke is a former Trustee of The Calhoun School in New York City, and The Montclair Cooperative School in Montclair, NJ. He is currently a member of the Investment Committee of the College of the Atlantic. He is a graduate of Hobart College. Maine has been an important part of his life since first visiting the home of his great-grandmother in Castine in 1968. He has spent at least part of every summer in Castine since. Brooke and his wife Julia are parents of Madeline and Grace, 5thgeneration summer residents and members of an extended family including both summer and year round residents. 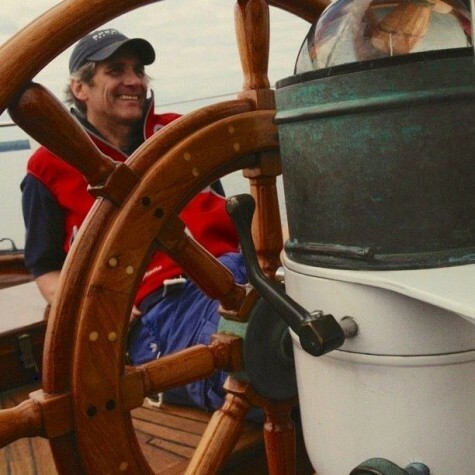 When not enjoying the serenity of his beachouse on Wadsworth Cove, Brooke can often be found sailing his 46 ft S&S ketch Mermaid on Penobscot Bay.